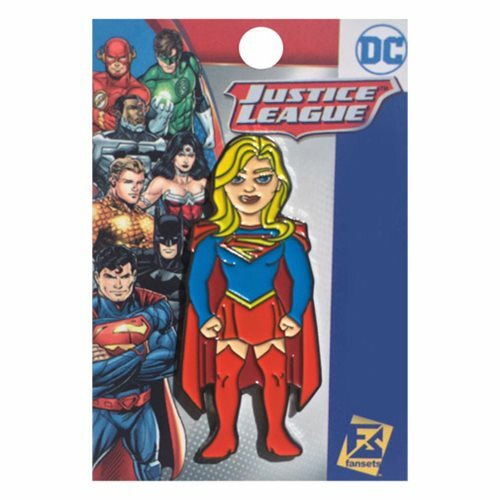 Add your favorite super heroine to you pin collection with this neat pin from Fansets featuring Supergirl. This pin features a design based off the new comic book series Supergirl: Rebirth! Collect all your favorite DC Universe Characters in pin form (sold separately)! Perfect for wearing around on your clothes or your bag, these pins are sure to be a hit. This DC Comics Supergirl Rebirth Pin measures about 2-inches tall.